On Friday we found ourselves back at Open New Doors. This time with the purpose of tasting some of the natural wines that they serve there. Here in Sweden it is unfortunately really difficult to get hold of any natural wines and the only place we have found so far is Open New Doors. Red, white and orange natural wine. We were lucky and got the last glass of both white and orange natural wine. They had a lot of red left though. 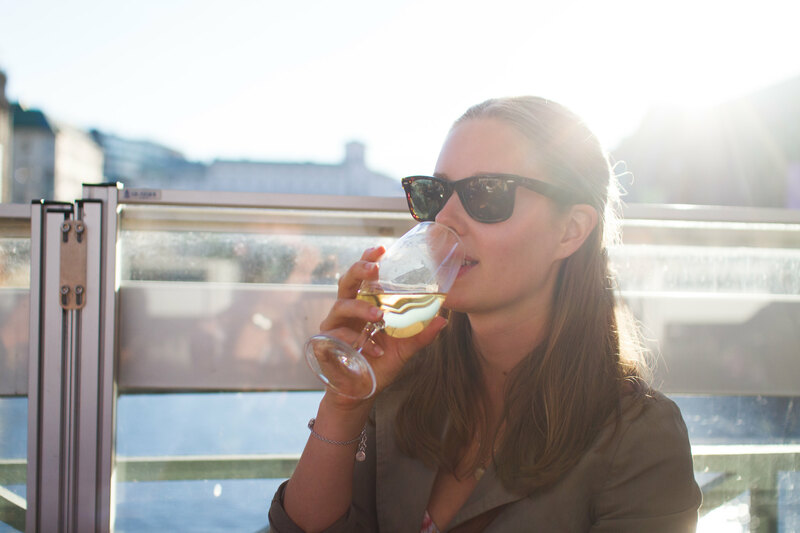 What is orange wine? You ask. Well, as we got it described to us, it is made similarly to how the red wine is made, but the peel of the grapes are only left in the wine for about ten days and they use green grapes specifically. We had not heard of orange wine before so we just had to try it! Cecilia enjoying a glass of white natural wine. All three wines had a taste of non-mature fruits. Especially the orange one which tasted like slightly too green apples in combination with licorice and orange. The white wine had a light taste to start with and an intense smell, but finished off with a quite full aftertaste. 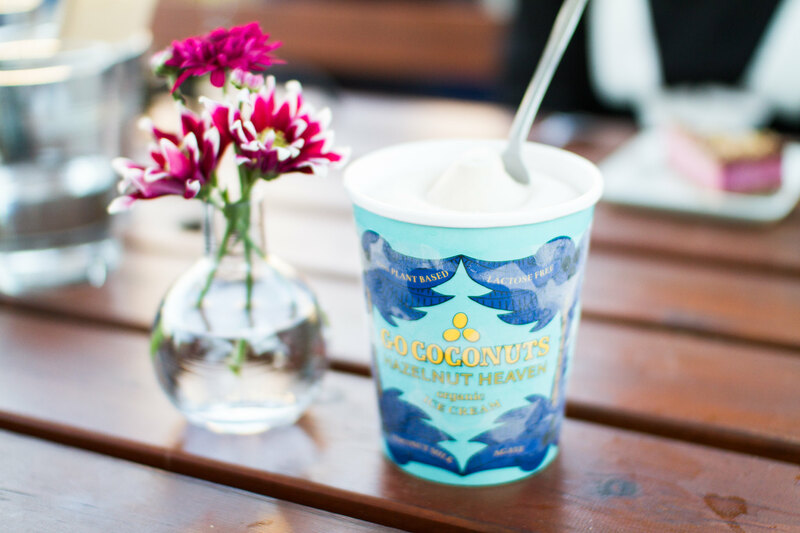 After our wine tasting we treated ourselves with some coconut ice cream. A perfect ending of a reasonably hot summer evening, we thought. The ice cream was in the sweeter part of the spectrum for our taste, but we enjoyed it a lot in the evening sun. 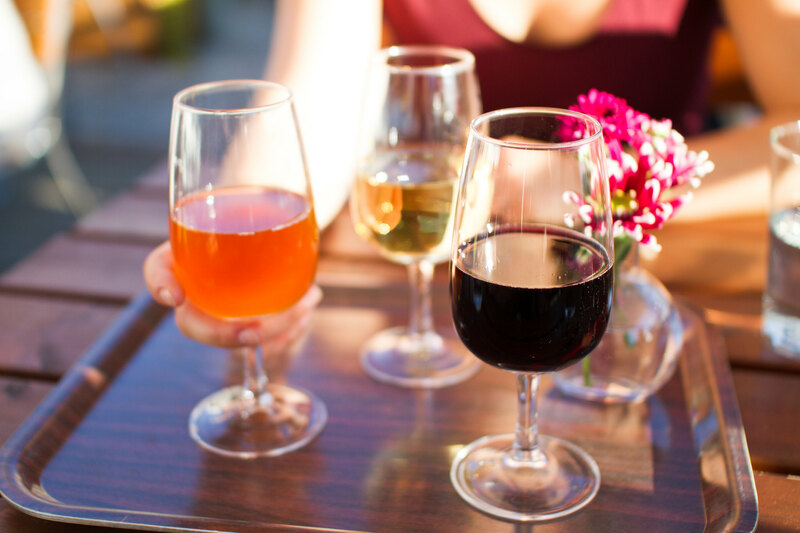 Have your tried natural wines? Did you enjoy it?